← Why do schools want iPads? Do the math, and you won’t understand it. Wow, so it has been a very long time since I posted. Rest assured loyal readers, I’m still here fighting the good fight. Rather than just rattle on about me let’s take a look at what’s been happening in the world of ed tech over the past month. Mavericks, iWorks, iLife and new iPads. Let’s start with the software side. 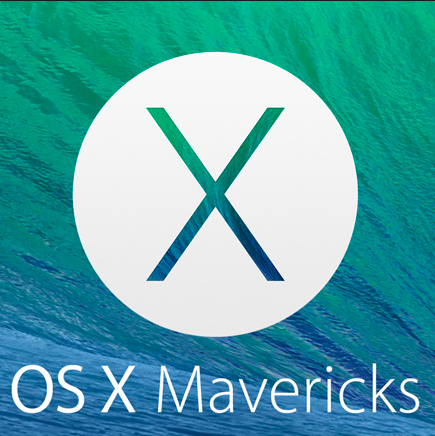 Mavericks is completely free and iLife and iWorks is also included with that. Pretty powerful stuff really. I mean if you’re a school paying licensing fees for Microsoft Office and Microsoft Windows every year for every user, you cannot ignore this. Our laptops we provide are expected to last 4-5 years. While Macs are typically more expensive than Windows machines, once you start factoring in the yearly licensing over a period of time. Well, the costs start to even out. Nice work Apple. New iPads – what’s to say here. Faster, slimmer, lighter and just better. If only they could work out a better way for teachers and schools to manage the apps that go on it. I briefly wrote about this but here were some cool things I got out of it. Google Web Designer – free web designing tool from Google. It’s not too hard to use and powerful. Would I build a whole website with this thing? Probably not but it is still pretty cool to make HTML 5 animation for websites. Code Academy – It’s gotten a lot better since the last time I used it. Give it a try yourself. Mozilla Open Badges – You can create and assign achievements to your students/staff through this handy little initiative. You can create your own, set your own parameters and assign them to who you want. Nifty for some extra little motivation or for a more open course modular class. One thing that I got out of the conference was a chance to sit down with my buddy Paulo to talk about Drupal. This thing is intense and powerful. Basically it is an open source content management system that allows you to create a website quickly easily and make it powerful. The beauty behind it all is how it views and handles individual content. It’s way too much for me to write about now but I might create some videos and tutorials later on. There’s more my good people, but I’ve got to run. I’ll talk to you soon. This entry was posted in Patrick Cauley and tagged coming back. Bookmark the permalink.